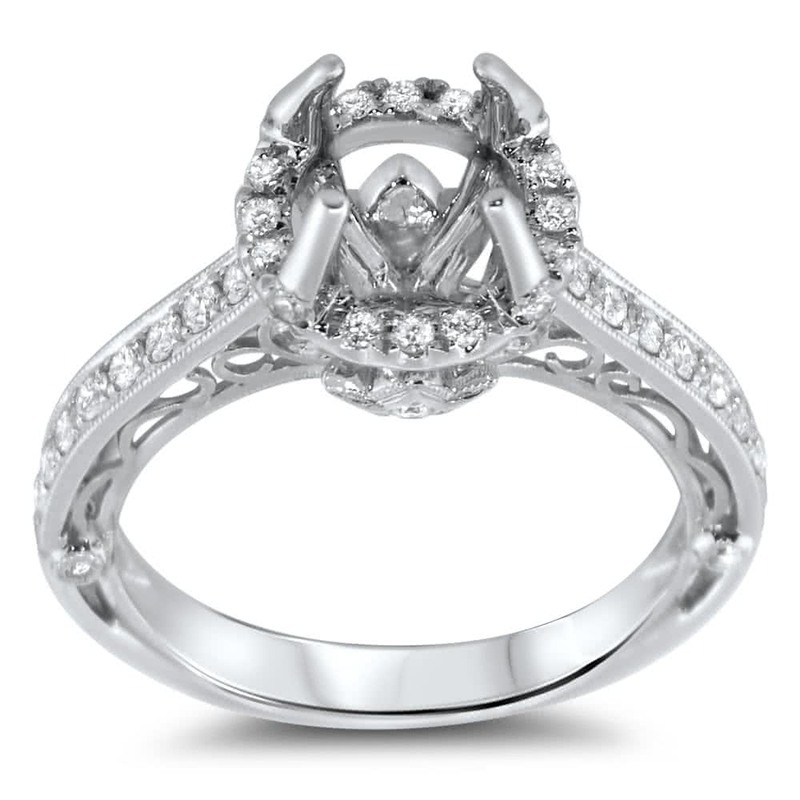 Cathedral engagement ring is set in 18k white gold and has micro pave set diamonds in the halo and side stones. 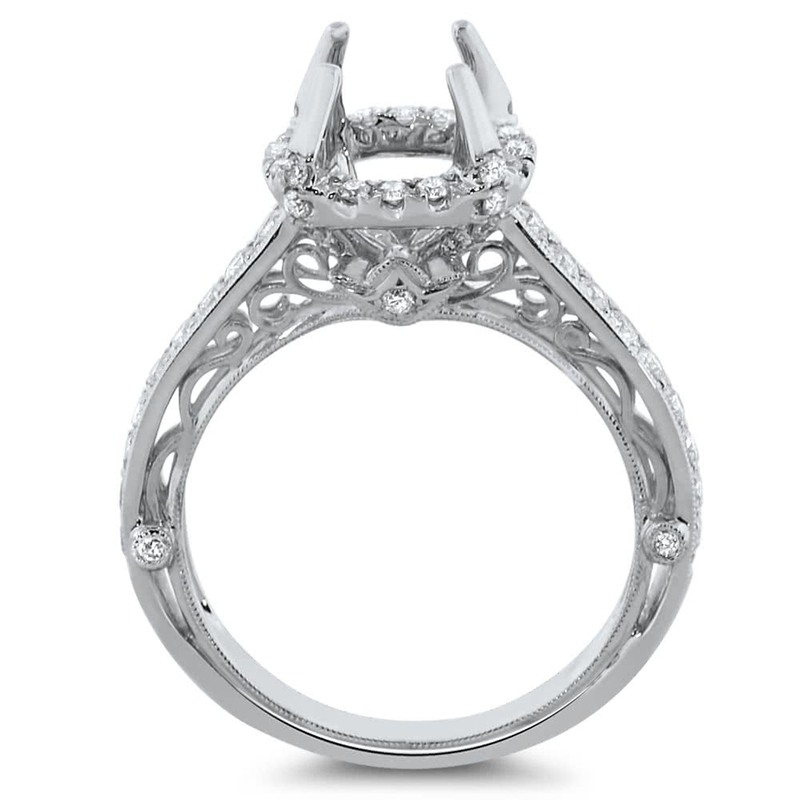 The ring has 3 bezel set diamonds and filigree on front and back of the engagement ring. 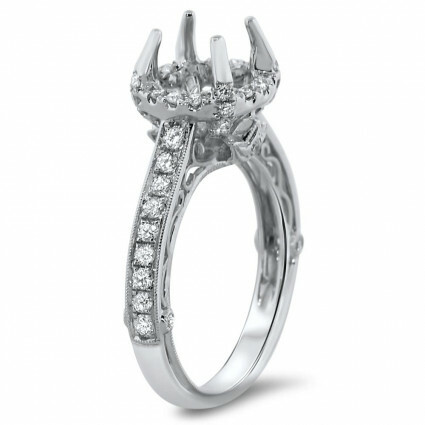 Ring will accommodate a round brilliant diamond.